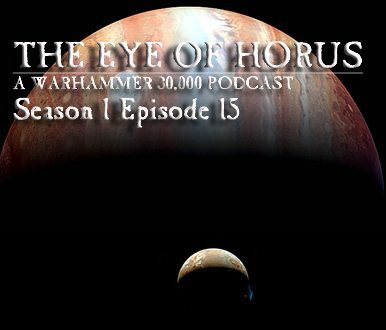 Episode 19 - Xenocides and Genocides of the Great Crusade! Head over to A Galaxy in Flames to sign up for painting classes with legendary FW painter Mathew Kane! The muster has started! Join in here and turn the tide for the traitors or loyalists by picking up a paint brush! Inspection for Swell the Ranks, go here to vote! Click here to sign up for Heraldry of War! Check out the exciting new GLOBAL HERESY campaign starting very soon! This week we have a special presentation while Michael is away! 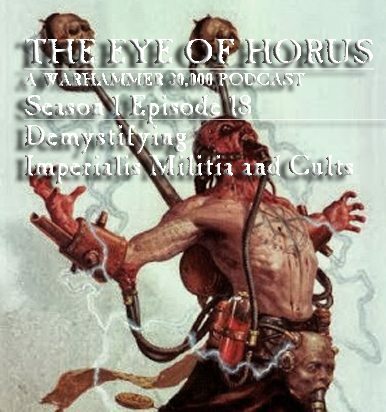 In this pre-recorded episode we go through the newest army list to hit the tables of the 31st Millenium: Imperialis Militia & Cults! This list is incredibly sandbox and an excellent tool for representing whichever force of 'basic humans of the 31st Millenium' you can think of. Everything from backwards barbarian tribes straight off a dinosaur planet up to the artificer armed and equipped personal retinue of a Hive-ruler! Equally importantly, there are rules for creating full-on warp tainted forces, perfect allies for the Word Bearers and World Eaters at Calth, or as hell-touched gene-trash mixed in with the 40K Daemon list to create 'Daemon World' or 'Chaos Cult' armies from the old V2 Chaos Codex!! 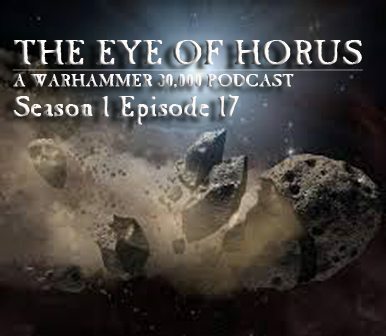 Hopefully this episode will be fuel for thought, and get some people blowing the dust off their old Guard and Beastmen and Squat armies! Remember, boys went to the Astartes, men went to the Imperial Army, Solar Auxilia and Militias.. Welcome to episode 17 - Tempest! 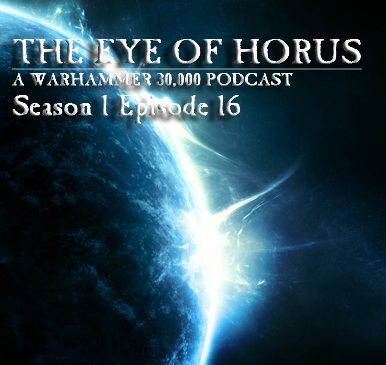 This week we dig around in the mailbag, waac some fluff, and talk about THE HORUS HERESY BOOK 5 - TEMPEST. Here it is, episode 16 has arrived! Welcome back everyone, to this our longest regular episode to date! If you hadn't guessed from the pictures below, this week we talk Iron Warriors! We are also joined by special guest and painter of the fantastic Iron Warriors army below, James McKenzie. Mac drops by to share his insight and experience with the IVth legion with us all. As well as our extended Iron Warrior segment we have all your weekly favorites, listener questions, Fluffwacc and the usual wrap up. 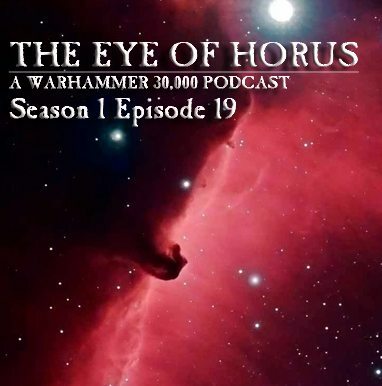 So sit down at your hobby table, pickup a paint brush, relax, and enjoy episode 16. Welcome back guys! This week we take the show on the road and record at Tim's mums house and in our mate Danny's back yard. We take a little look at some new Mechanicum units from book 5 Tempest, take a look at some listener lists in Fluffwaac, and of course rummage around the mail bag and answer a whole lot of listener questions. We also traveled to Danny's house to play on his beautiful Zone Mortalis table and learn a few lesson about the rules, units and strategies when playing in Zone Mortalis games. All this and more on the Eye of Horus this week! The muster has started! Join in here and turn the tide for the traitors or loyalists at ACT of heresy!